Welcome back to the Tasmania series. 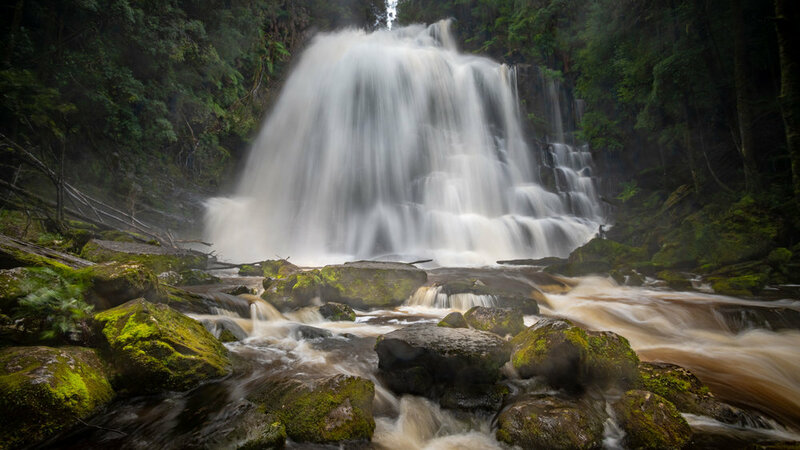 This was a trip I took last year with Andrew Dawes and Richard Lefroy, and we travelled around and photographed some of the incredible landscapes of Tasmania. I’m really excited to announce that I’m headed back there this year with Andrew Dawes to run a Landscape Photography workshop and we’d love for you to join us. 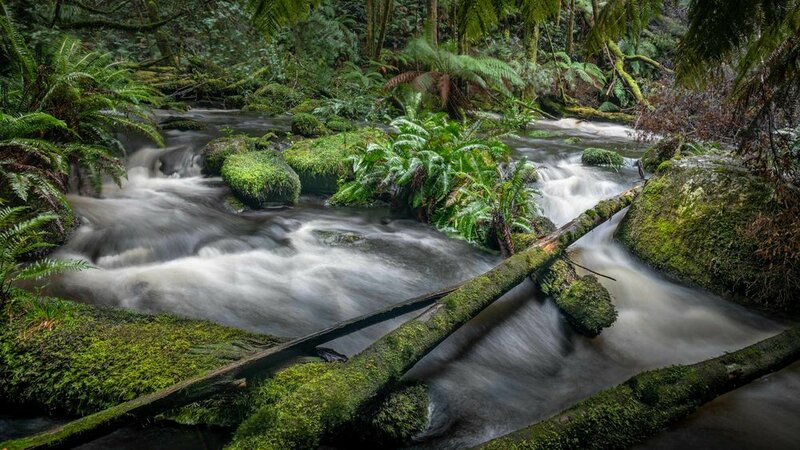 Having slept the night before only 25kms away, it was a short drive to our next landscape photography location, Nelson Falls. The walk in from the carpark was, and the destination was impressive. There was plenty of water running through the falls, too much in fact. Determined not to give up, I headed towards to base to try and find some foreground interest to anchor my image. To ensure I captured some details, I selected a shutter speed of around 1/3 second and an aperture of 10. This was all pre-dialled in as I needed to minimise my time in front of the falls, so the lens didn't get wet...good luck with that! You can't pick you the conditions you shoot in, so you have to make the most of what you have. I think any opportunity to shoot is a good opportunity, you never know what might come of it. So again, at what point do you give up? Well only you can answer that for yourself. For me, I know that if there’s a fighting chance I’ll get an image, and it’s safe, I’ll be there. I’ve said this before, I don’t only go out and shoot because it’s good conditions, I often go out when it’s interesting conditions and this experience was interesting. Even if I didn’t get a gallery shot, I learnt more about my camera and what it can do , it’s water proof :) ! Plus I’m shooting in challenging conditions so I get the opportunity to improve my skills as a photographer.